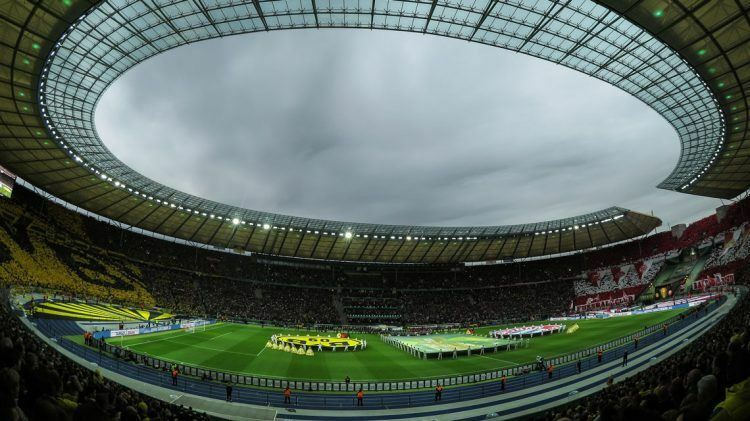 In an internal competition, PUMA raffled off two tickets for the German Cup Final between Borussia Dortmund and Bayern Munich in Berlin on May 17. Ellen Plas, Team Assistant Sports Marketing & Sports Licensing, was the lucky winner. Read on why she almost committed murder in the stadium. Friday afternoon. I have just shut down my computer and am about to leave. My phone rings. I expect a last-minute “Can you please?”-thingy, but no. 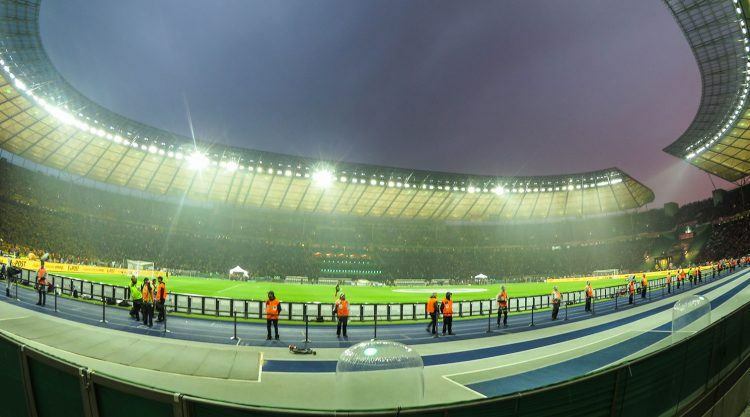 I am told that I just won two tickets for the DFB German Football Cup Final in Berlin. Hotel rooms were reserved at Andel’s in Berlin. 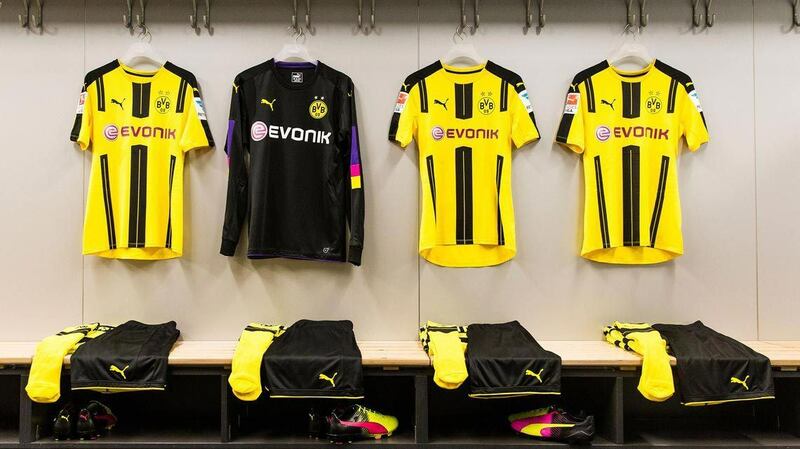 I am still wondering if BVB is a shareholder, as the rooms were completely yellow and black. Actually, the whole of Berlin was colored black and yellow, which made the city even more sympathetic as it is. We hopped onto buses to the stadium, everyone dressed up in yellow T-shirts, that were especially designed for the occasion and a special “Cup” BVB scarf. It was amazing how many people were there. Uncounted Bayern fans with “Lederhosen”, the only charming thing about them as most of them were already drunk and made useless remarks about our yellow and black outfits. 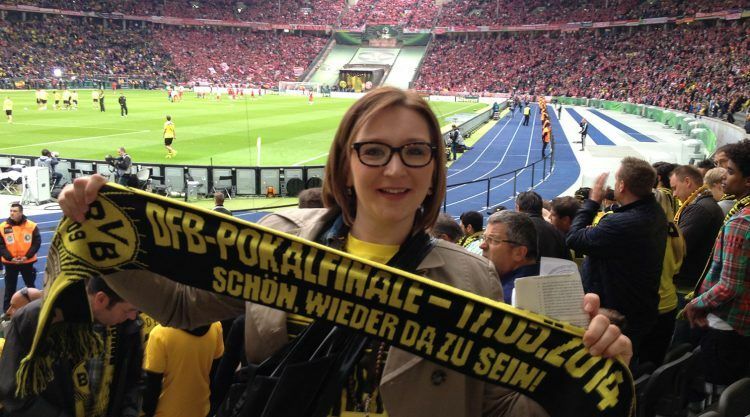 Ellen Plas is a die-hard Borussia Dortmund fan and proudly holds up her special "Cup" BVB scarf. As Ellen noticed, the Berlin Olympia stadium is round, not oval. The first half was pretty boring. Later, someone pointed out to me that I probably found it boring because Bayern was in ball possession most of the time. Half time. Finally, we could sit down. Although we had seats in our stand, no one was sitting. Cause if people in the first row were standing, everyone else had to as well. And those that didn’t agree made their point clear in a very impolite way… Sports and sportiness don’t always match. The sky had turned into a beautiful purple. Really amazing. And then the rain came down on the Bayern block. There was also this minor incident where BVB scored a goal but the referee was too blind to see it. I don’t understand stuff like that. I have a cycling background and you can throw your arms in the air as much as you want: if the photo-finish shows that someone else was faster, you’re second. So we had to sit out, sorry stand through, unnecessary extra time and you all know the outcome. One girl, also invited by PUMA Deutschland, was sitting in front of me wearing a Bayern scarf… I swear I could have choked her with it when she cheered for the win. Gold came down from the sky as they started the ceremony, but our block was crying. We only had eyes for BVB and I was impressed with BVB’s manager Jürgen Klopp: How he jumped the fence and convinced his team to step on the tartan as well. They passed in front of the fans, so close you could almost touch them, applauding to us. And then it turned out not only Berlin was on our side – Berlin’s sky was also a BVB fan, when it opened its water gates. We had a wonderful evening, although we wished for a different outcome. Thank you very much, PUMA! "This is where textiles are going"
"Strong is feeling confident on your feet"